The transfer season this summer has been a season of comebacks, incredible acquisitions and crazy steals! And the fun part is that it’s not just the big guns that are racking up players, every team is in one way or the other, building squads that can survive next season. Manchester City have spent the most in terms of amount (over £200m) whereas in terms of numbers, Everton under Ronald Koeman have swooped up 11 players! Bournemouth under the radar have gotten Begovic and Ake from reigning champions Chelsea and even added Defoe up front and the Hammers top signings include Chicharito and Joe Hart! With less than 30 days left for transfers in the Premier League, here are top 10 signings so far. Lukaku to United was an interesting saga because one minute he was about to sign with Chelsea and then the next minute he’d signed for Manchester United. 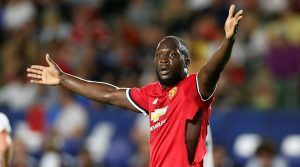 With the departure of Ibrahimovic and Wayne Rooney, Mourinho’s addition of Lukaku is quite needed and we’ll be eager to see what he does for the team. 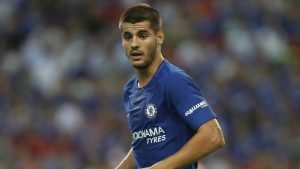 With Costa leaving and Chelsea having lost out on signing Lukaku, Alvaro Morata’s signing is an important one. 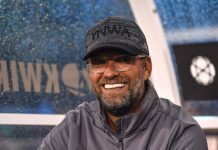 Although it’s not certain yet where his actual playing position on the team would be, the defending champions would still be hoping he can help them defend the title and help out in the Champions League. This was a bit of an eyebrow-raiser. Chicharito had much potential in United under Ferguson but then a loan move to Real Madrid led to his departure from the club and the Premier League. After 2 seasons in the Bundesliga with Bayer Leverkusen, he’s returned to Premier League and with the Hammers. 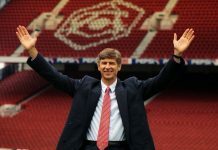 Wenger and French signings is a fairytale that would never get old. Perhaps with Lacazette’s acquisition, the Gunners would be able to push their way back into top 4. Especially if he brings the scoring form he had with him at Lyon last season. An interesting comeback into the Premier League. 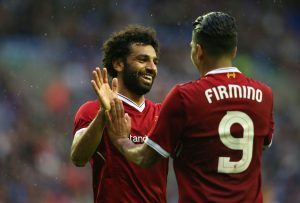 Liverpool intends to bolster their attack the more with Salah and if he performs they might as well get the results they want. 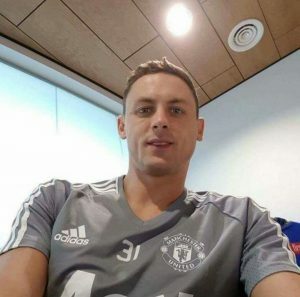 Matic just recently completed his move to United and has reunited with Jose Mourinho. Matic, who’s more defensive than attacking could be just what United need in the midfield. With likes of Pogba and Herrera, Matic playing deeper could give the duo a chance to move forward more and attack. It is no secret that City suffered last season. A top 4 finish and Champions League qualification was okay but no trophies? That wasn’t okay. 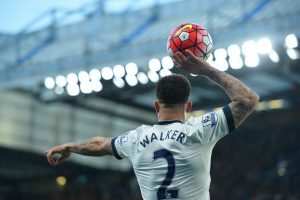 So far, Pep has already spent over £200 million on players and Kyle Walker was responsible for £51 million of that amount. At 27, that price is intriguing and football fans would be eager to see how he proves his worth. 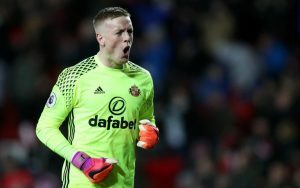 The young shot-stopper was snapped up from Sunderland for a whopping 30 million pounds. He had the most saves in the Premier League last season and Everton would be expecting him to relive that form with them next season. No doubt Rooney has had a wonderful career with United. It’s almost a fairytale ending for him as he’s moved back to his boyhood club. 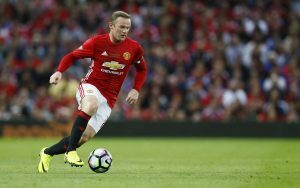 With Lukaku’s departure, Rooney would have the playing time to show what he’s still got. Bournemouth were a wonder last season. They got promoted from the championship at the end of the 2014/2015 season and managed to finish 9th in the Premier League last season. Jermain Defoe was a win for them as he transferred from relegated Sunderland for free. 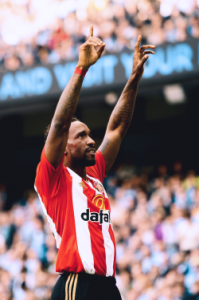 Defoe is almost 35 but had some form with Sunderland. Hopefully, he’d be able to perform well for the Cherries. There you have it, the top 10 so far. It wasn’t easy to get this list as a lot of acquisitions have been made and a lot of money has been spent. 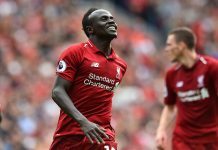 Even so, teams don’t seem to be done quite yet with buying as rumours are still flying around. If there are any signings you think should have made the top 10 why don’t you mention them in the comments below or even still, let us have a look at what your top 10 signings look like! Previous articleWho Makes Your Combined Manchester United/Real Madrid XI?